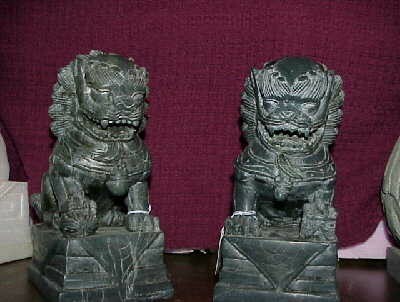 This is a beautiful matched set of Chines Fu Dogs from China in black marble. Hand carved. 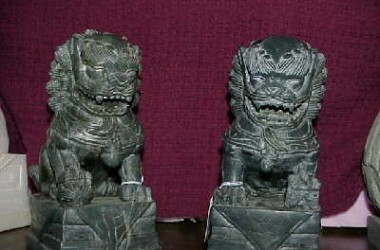 They are 8 inches high. The female has her paw on a cub and the male has his paw on a ball. Excellent workmanship. This is suitable for home or garden, but this set would be best inside. The detail is wonderful and the black marble is slightly veined in an off black. Handsome for desk or mantle. Black marble like this is rare to find.